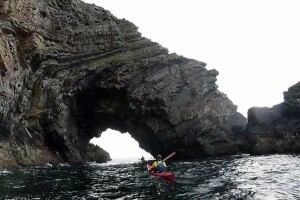 It’s been another busy summer of sea kayaking with CCKA members exploring far and wide. 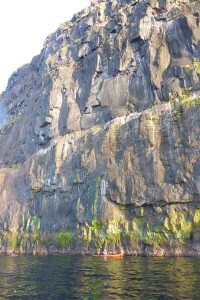 The mid week evening sea trips proved very popular and there were also a number of weekend trips to Donegal. 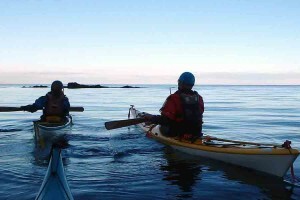 The sea kayaking season usually runs from Apr to Sep but continues in a reduced format over the winter. 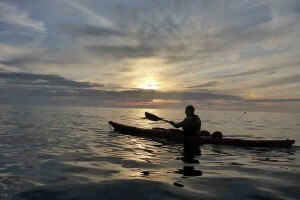 Steve Smith heads up the Sea Kayaking section of the Club with John Vance taking the occasional weekend trip. The majority of the club trips take place on a Tuesday evening dividing up the coast into manageable chunks. 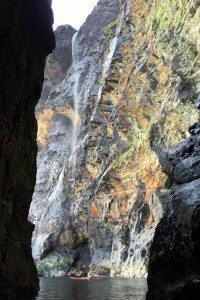 Quite a few trips had to be postponed this year due to weather and sea conditions. There was an evening visit to the Portmoon Bothy and a visit to Rathlin Island during the Festival week. 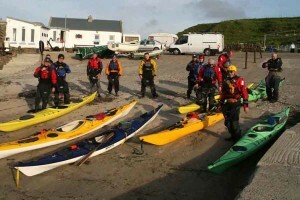 Some members attended the Inish Adventures Sea Kayak Symposium in Donegal. 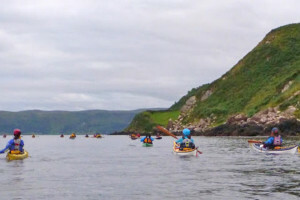 Others paddled in Scotland around the island of Isla and as far away as Italy. 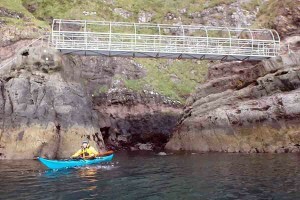 John Vance led a number of weekend camping trips to Donegal which included, Slieveleague, Horn Head and Arrannmore Island. 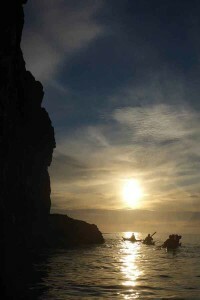 Club members are now gearing up for the white water season and are busy dusting off their canoes and river kayaks.